The following article is a reprint from the TCHA member newsletter of December, 1981. It is printed here in honor of the 90th anniversary of the incorporation of the Tippecanoe County Historical Association on December 4, 1928. 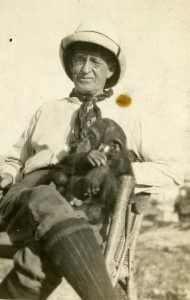 Although the expression has become a cliché, the Tippecanoe County Historical Association really is in so many ways the “lengthened shadow” of one man: Richard Benbridge Wetherill. He was the original organizer, the first president, and the donor of substantial financial backing. 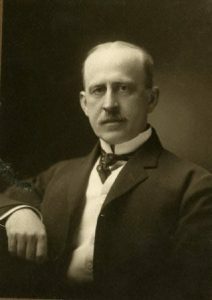 Wetherill was born on January 10, 1859, on Fourth Street between South and Columbia. His father, Charles M. Wetherill, who later became a professor at Lehigh University, was appointed in 1863 chief chemist of the Department of Agriculture by Abraham Lincoln at the then considerable salary of $2500. Richard went to Purdue for just one year, 1874-75, and finished his undergraduate studies at Lehigh. He took his M.D. at Jefferson Medical College and interned in Philadelphia. To complete his medical preparation he spent a year studying in Berlin. In spite of his residence in Pennsylvania and Germany, Richard Wetherill considered Lafayette his home. In 1886 he set up practice here and continued until he joined the military in 1917. He was stationed for a time at Purdue. He had become a general practitioner of excellent repute and a surgeon of note, but after World War I he never practiced again. In a real change of pace in his later years, he became an avid globetrotter and an orientalist of some standing. He was especially interested in archaeology and spent a good deal of time with the Inca and Mayan ruins in this hemisphere and with past cultures in Indo-China. Wetherill never married. He was an attractive man, easy to know, with a reputation as a ladies’ man. Since he was wealthy, sophisticated, and much traveled, inevitably stories spread of his amorous affairs and Lafayette citizens relished the gossip. For many years his office on Columbia Street was a center for both medicine and the town’s high society. This handsome building and the artistically landscaped grounds were leveled to make room for a used care sales lot. African journey he arrived in Luxor soon after the news spread of King Tutankhamen’s tomb. Howard Carter opened the tomb on November 26, 1922, and Wetherill was one of the first outsiders to see some of the treasures buried with the boy king. Even today with all the amenities for curious tourists the descent into the burial chamber is rather arduous; in 1923 it must have been a minor feat. Richard Wetherill was intrigued by some of the same questions that intrigue us today: why did so many ancient cultures vanish? In Central and South America he had been struck by, for instance, modern Mayan culture with so little remaining of past glories. The same phenomenon captured his interest in South East Asia, and he wrote learnedly and entertainingly of Khmer antiquities. 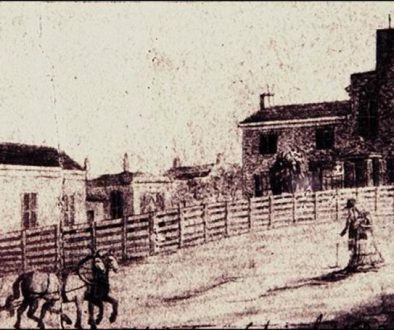 The Wetherill family home, now gone, was located way up South Ninth Street hill. 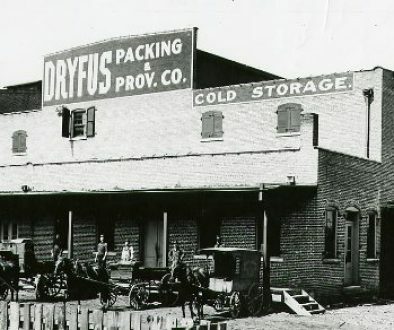 It was a social center for society-minded Lafayettans in the days when Lafayette was, in terms of per capita wealth, the second richest town in the nation. A high point of the social season for the in-group was the New Year’s reception at the Wetherill house. The only competition came from the Stuart family. C. B. Stuart, a prominent lawyer, and his wife Alice Jane, daughter of Adams Earl, also gave brilliant New Year’s receptions; and any citizen invited to both affairs in the same year had it made. In 1888 Wetherill got together with six possible supporters to plan the establishment of a local historical society. This first effort failed. In 1923 he enlisted 19 interested citizens to discuss the project again. Finally in November of 1925 in his office, a board of governors was named. 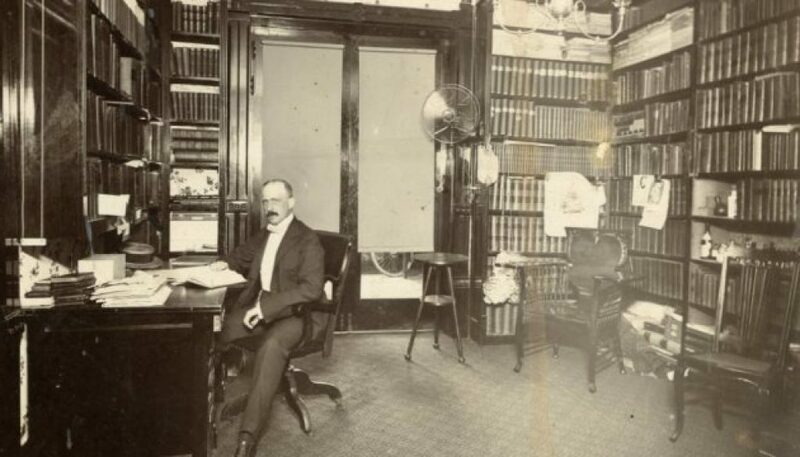 Richard B. Wetherill was elected the first president of TCHA* and remained in this office until his death. The other founding officers were Mrs. T. A. Stuart, vice-president; Elmer Waters, secretary; and J. O. Beck, treasurer. Wetherill’s medical practice was very profitable. In addition he owned and carefully managed four farms north and west of town, each of 320 acres. In detailed records he lists $7098 profit for 1939. In 1929 he donated the land where the Feast of the Hunters’ Moon is now held. Somewhat later he turned over $20,000 to house a museum and his collection of art and artifacts. In his will he left real estate and $100,000 in support of TCHA. Quite beyond his dedicated interest in local history, before his death he gave a half million dollars to Purdue for a chemistry building. Today (1981) the Wetherill distinguished professorship chair is held by Herbert C. Brown, our Nobel laureate. Of course, the financial backing so generously given has sustained the progress of TCHA. Perhaps more important, however, for the success we have had in furthering county history are Richard B. Wetherill’s initial push, persistence, and foresight. The Association owes so much to its first president; his place of honor is secure. *TCHA was not named and incorporated until 1928. 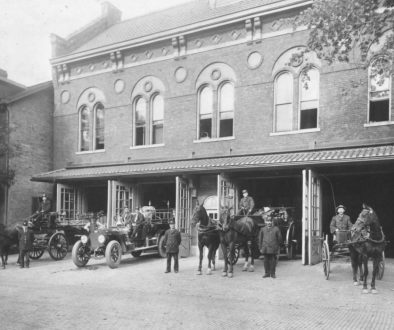 The 1925 version of the organization was named the Historical Society of Tippecanoe County.